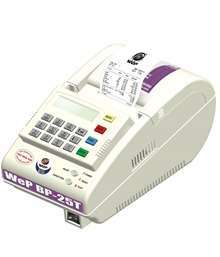 WeP BP 25 T Plus is 2 Inch’s Billing Machine with Battery that is easy to understand and operate. 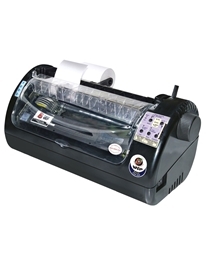 The hardware features include Thermal printer for increased speed in printing & reliability. It comes with 30 numbers of keys includes 26 HOT key configuration and external Keyboard Connectivity. A Windows based utility is used to manage Data & features. Our happy customers include Grocery stores, Restaurants, Sweet Shops, Wholesale shops, Outlets using weighing scale, Outlets requiring upload and download of data. 3"roll paper, Pen drive PC Data transfer, Connectivity - Weighing Scale/Keyboard/Scanner Thermal Print.Small, All in one thermal billing Printer. 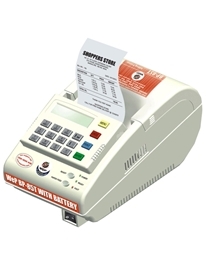 Compact, Standalone bill printing solution WeP BP 20 Plus is 2 Inch’s Billing Machine with 30 keys Keyboard along with 26 Hot keys for quick billing. It is ideally suited for Bakeries, Hotels, Restaurants, Fast food chains, Juice and Ice cream parlours, Coffee shops, Canteens, Vending machine chains, Kirana shops etc. Introducing WeP BP-2100 the latest addition to the range retail billing printers from WeP solutions Limited. 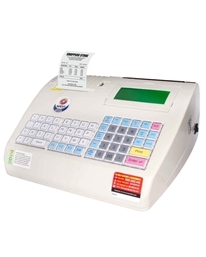 The BP-2100 is a high volume Electronic cash register and advanced billing printer. It is sturdy and highly reliable. It has numerous features that make it ideally suitable for medium sized establishments. 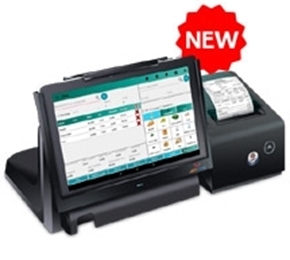 BP -2100 comes with feature 51 hot keys, external printer connectivity, cash drawer, Pendrive, Continuous weighing scale connectivity, Customer display etc. Introducing WeP Bp-2100 the latest addition to the range retail billing printers from WeP solutions Limited. 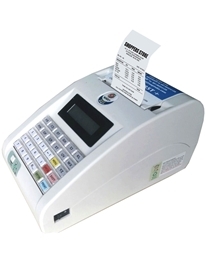 The BP-2100 is a high volume Electronic cash register and advanced billing printer. It is sturdy and highly reliable. It has numerous features that make it ideally suitable for medium sized establishments. 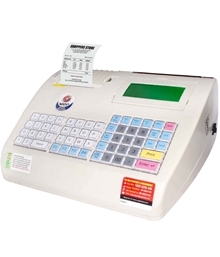 BP -2100 comes with feature 51 keys, external printer connectivity, cash drawer, Pendrive,Continuous weighing scale connectivity, Customer display etc. Introducing WeP BP-2100 the latest addition to the range retail billing printers from WeP solutions Limited. 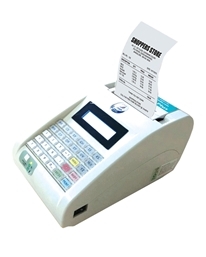 BP-2100 is a high volume Electronic cash register and advanced billing printer. It is sturdy and highly reliable. It has numerous features that make it ideally suitable for medium sized establishments. 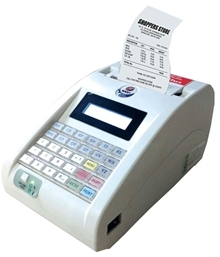 BP -2100 comes with feature 51 Hot keys, external printer connectivity, cash drawer, Pendrive,Continuous weighing scale connectivity, Customer display etc. 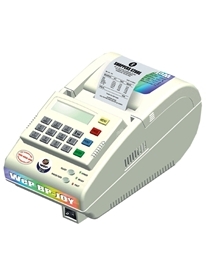 Introducing WeP BP-Joy Thermal billing printer in WeP’s Retail Billing Printer Category. Wep’s BP range is India’s largest selling billing printer with more than 80000+ installations and still growing at an unbelievable fast pace. WeP BP Joy is a 2 Inch’s Billing Printer which is highly affordable with a price of Rs.7,699/. 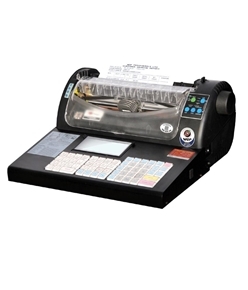 This billing printer provides you faster billing due to its Thermal Printing Technology, helps in Tallying cash and it also saves your calculating time. Our happy customers include Bakeries, Hotels, Restaurants, Fast Food chains, Juice and Ice cream parlours, Coffee shops, Canteens, Vending machine chains ,Kirana shops etc.